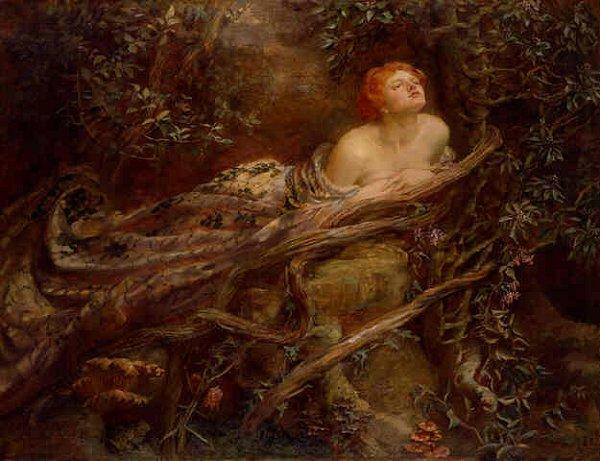 Seen above is Lamia, the Serpent Woman by Anna Lea Merritt. Be wary of her beauty, for she means to consume you. In mythology, Lamia is a mistress of Zeus and her affair with him angered Hera so much that she transformed Lamia’s children into monstrous beings. Grief-stricken, Lamia devours any child she finds, thus becoming a monster herself. Like most myths, her story has become convoluted. In some tales, Hera forced Lamia to eat her own babies. In others, Lamia attacks children out of a consuming anger and jealousy. Some depictions have taken away her eyesight and, more graphic still, there is a version of the myth in which Zeus has given her the ability to remove her own eyes. Many folkloric traditions find their roots in Lamia, such as succubi or any female vampiric creature that preys on men. In Neil Gaiman’s Neverwhere, for example, Lamia is a beautiful creature called a ‘velvet’ that preys upon you for your warmth. The velvets are seductive with a hypnotic power that is quite similar to a depiction of a siren. I think it would be easy to see Lamia as a mere trope, a plot device to illustrate the evil power of seduction and the devastation it could cause. Except the more I think about her the more I see her as a figure of layered complexity. Her monstrous attributes are not of her own creation but are born out of the tragedy inflicted upon her. She is made evil by living every mother’s dreaded fear and she continues this cycle of pain by then perpetuating it upon others as she devours their children as well. The story could be seen as a warning to avoid tempters like Lamia who would destroy you. Or perhaps the lesson is that Lamia should have dealt with her grief in a way that did not ruin other lives. Hera is probably the true monster for attacking Lamia’s children instead of dealing with her rival directly. Is it a lesson in the dangers of uncontrollable anger? Or a lesson in lust? It’s hard to ignore the possibility that Lamia’s tale might have been different had she not engaged in a liaison with Zeus at all. Myths are the ultimate drama; no party is truly innocent. 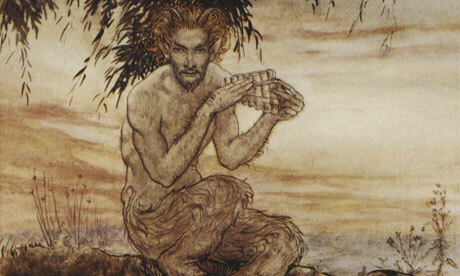 We can twist and turn the story and explore it from multiple viewpoints, which is why myths persist and are so often reinterpreted in popular culture. 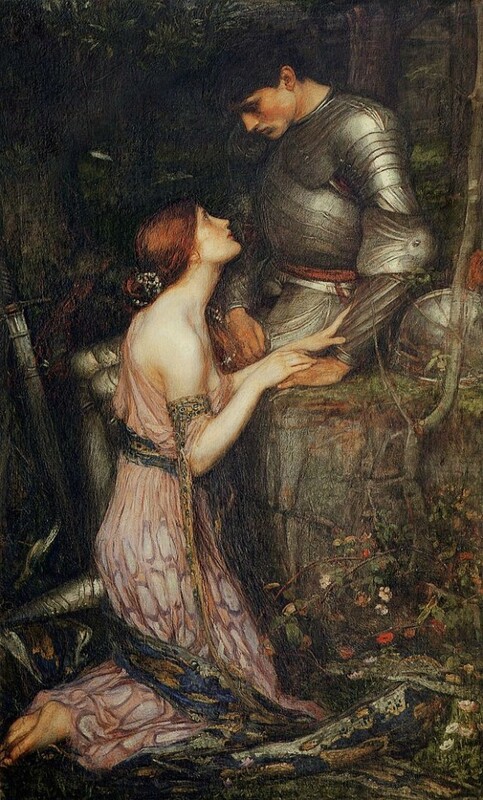 John Keats’ 1819 poem about Lamia has given us the version that most of us are familiar with. Lamia appears as a serpent and the love of a man enables her to shed her skin and change into a beautiful woman. Despite her innocent-looking human form, she is still a danger, of course. 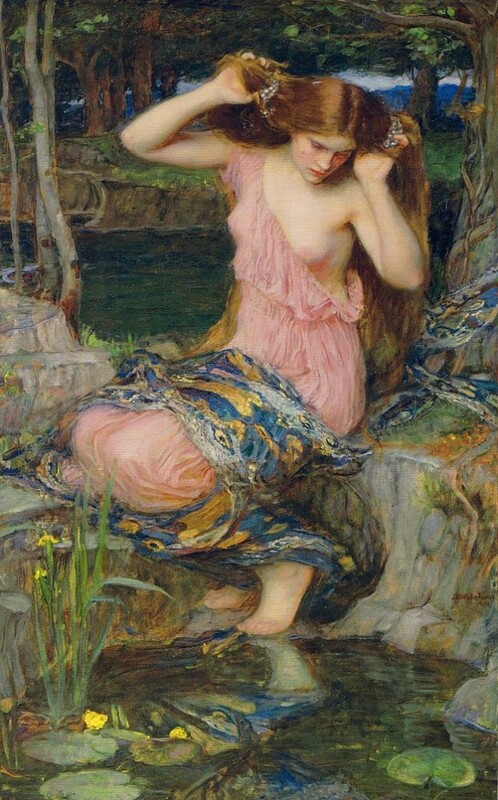 Waterhouse’s earlier version of Lamia. Her snakeskin is still draped around her body. 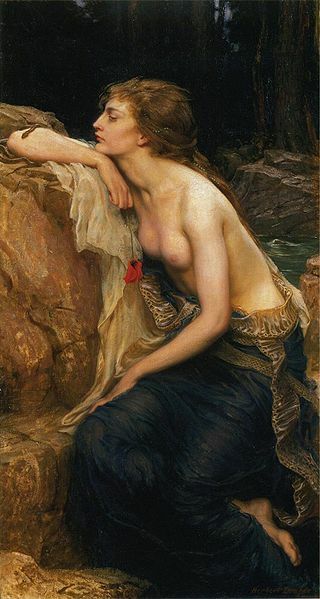 Keats writes of Lamia in vivid colorful imagery. I love how Keats describes her change with vibrant colors. She writhes about in scarlet pain. And ‘A deep volcanian yellow took the place/Of all her milder-mooned body’s grace;”. As she changes her form, “she was undrest/Of all her sapphires, greens, and amethyst,”. 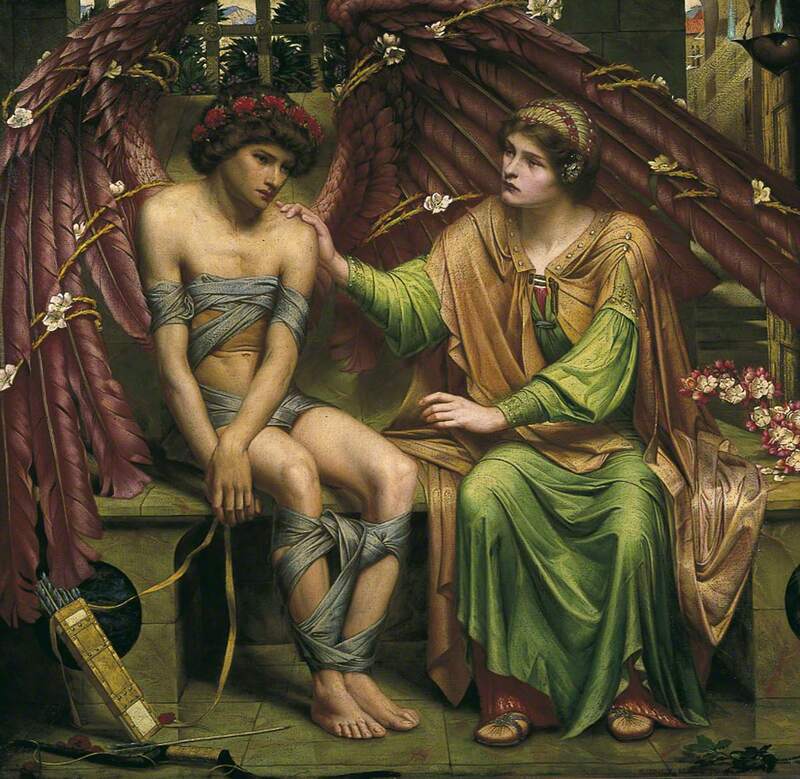 Is it any wonder that Keats’ works lend themselves well to artistic adaptations? He makes color seem alive, swirling in the jeweled tones of my mind’s eye, undulating before me and drawing me into the fatal beauty of Lamia. This poem practically begs to be recreated on canvas. Cévennes, found in her collection Elementals: Stories of Fire and Ice. 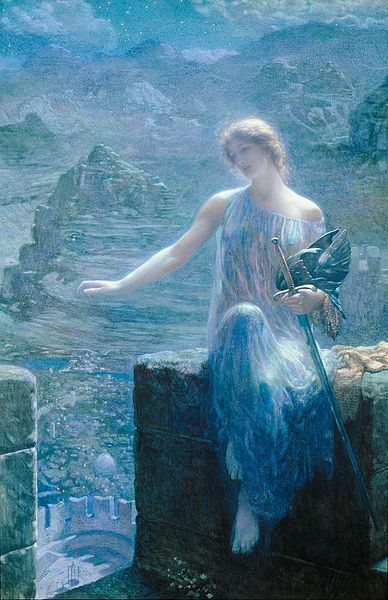 She wields color as masterfully as Keats. To see where the lamia idea can go try reading “the stress of her regard” by Tim Powers. If you do read it do come back and tell me what you think. I love the nomadic love of Lamia, her endless hunger and search after the mother Hera has banished her (and was willing to punish her children to get at her!!) … I see Lamia’s eating of her children as a means of protecting the world and people from her monster children, the ultimate sacrifice to take on such a curse, from the place of such hopelessness and despair, she is damned to clean up the mess. Talk about “owning it”! !